This certification course is an immersive exploration of the agile mindset, and associated business benefits. The program is intended both for agile newcomers and experienced practitioners wanting a new perspective. You learn the WHY behind agile methods, such as better customer satisfaction, better visibility, better morale, and other drivers. You also gain hands-on experience using the Scrum framework, the most common approach to HOW to achieve agility. The course uses multi-modal learning with video, story telling, dialog, and kinetic activities. This use of hands-on practice and real-world examples boosts knowledge acquisition and retention. The Agenda is aligned to the certification learning objectives defined by the Scrum Alliance. However, the course features a dynamic prioritization based on the needs of the group. This way, participants get double value of required core knowledge, as well as custom topics. Case studies and research show agile methods promote more visibility, faster time to market with better quality products, while increasing adaptability and visibility at the same time. But these results come from unconventional practices like self organization, cross-disciplinary teams, small increments, and frequent inspection. These practices do not come naturally. You need training. 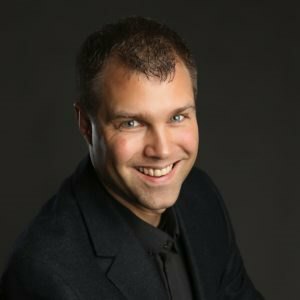 Jesse Fewell is an author, coach, and trainer who helps senior leaders from from Boston to Bangalore transform their teams and organizations. As a project management pioneer, he founded the original PMI Agile Community of Practice, co-created the PMI-ACP® agile certification, and co-authored the Agile Practice Guide®. A global entrepreneur and the founder of VirtuallyAgile.com, he has distilled his experiences in the handbook “Can You Hear Me Now: Working with Global, Distributed, Virtual Teams”. A graduate of Johns Hopkins University, he is a double-certified leadership coach and an accredited instructor with four distinct agile certification bodies.